Greenline Yachts started a new era of responsible boating building innovative environment friendly modern trawlers ranging from 33 to 65 feet. Greenline Yachts have the largest hybrid trawler fleet in the world and is considered to be one of the most awarded brand in the history of boating. 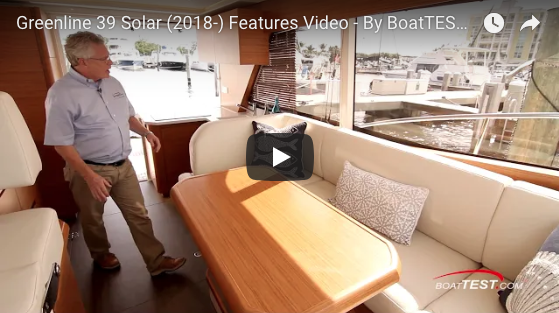 The Greenline 39 Solar is a versatile cruiser that uses what the builder calls its proprietary “hybrid hull design” to offer stability and efficiency at a range of speeds. 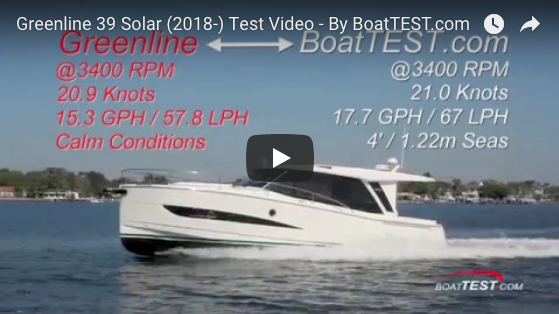 The boat we tested – the Greenline 39 Solar – is not equipped with the hybrid propulsion system but instead with a single 370-hp Yanmar diesel. Still, the builder’s experience with hybrid systems and Lithium Polymer batteries shows up in the company’s inventive power-management systems. Greenline 39 is a perfect family cruiser with a very rich standard specification, not having to compromise on comfort. 120V electricity onboard without a generator or shore power. A beautiful day on the water for the Greenline 48 Hybrid. Discover a new level of comfort. The new Greenline 65 OceanClass #1 testing the sea in beautiful day in Piran bay. Greenline Yachts started a new era of responsible boating building innovative environment friendly modern trawlers ranging from 33 to 65 feet. Greenline Yachts have the largest hybrid trawler fleet in the world and is considered to be one of the most awarded brand in the history of boating. Jack Haines’ review of the Greenline 39 Hybrid. Have a look at the latest edition of our famous multi-award winner Greenline Hybrid 33! Greenline Yachts started a new era of responsible boating building innovative environment friendly modern trawlers ranging from 33 to 65 feet. Greenline Yachts have the largest hybrid trawler fleet in the world and is considered to be one of the most awarded brand in the history of boating.